Nine more people died from influenza-related causes in San Diego County last week, including a 27-year-old woman, bringing the number of “flu season” fatalities in the region to 29, the county Health and Human Services Agency reported Saturday. Last year, 65 people died during the entire season, according to the HHSA. 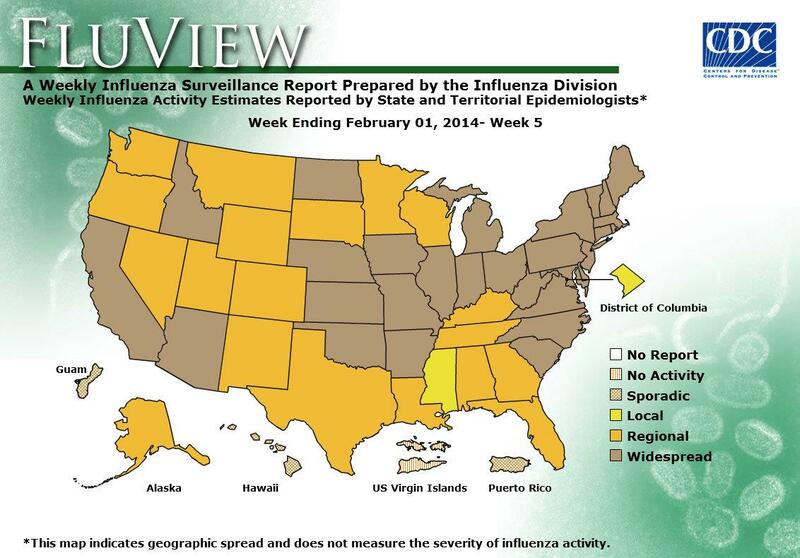 The Centers for Disease Control’s weekly flu map shows “widespread” cases in California. The 27-year-old, whose named was not released, was the youngest to die so far this year. She had already been battling a medical condition, the nature of which was not disclosed. The others were either elderly or had pre-existing medical conditions. Also Saturday, CBS8 reported that a 48-year-old Lakeside woman died Monday, one day before her 23rd wedding anniversary, following a three-week battle with the H1N1 strain of the illness. Her death is not included in the HHSA statistics. The HHSA indicated last week that the infection rate was slowing. 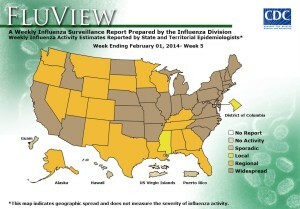 The number of lab-confirmed influenza cases last week was 468, down from 609 the previous week. For flu season as a whole, 3,083 cases have been reported.